The Pennsylvania Department of Revenue is responsible for collecting income taxes from residents and nonresidents who earn income within the commonwealth. Pennsylvania has special reciprocal agreements with several states, including its bordering neighbor New Jersey. Through its reciprocity agreement with New Jersey, Pennsylvania residents earning income in New Jersey must pay income taxes on their employment earnings to the New Jersey Division of Taxation. 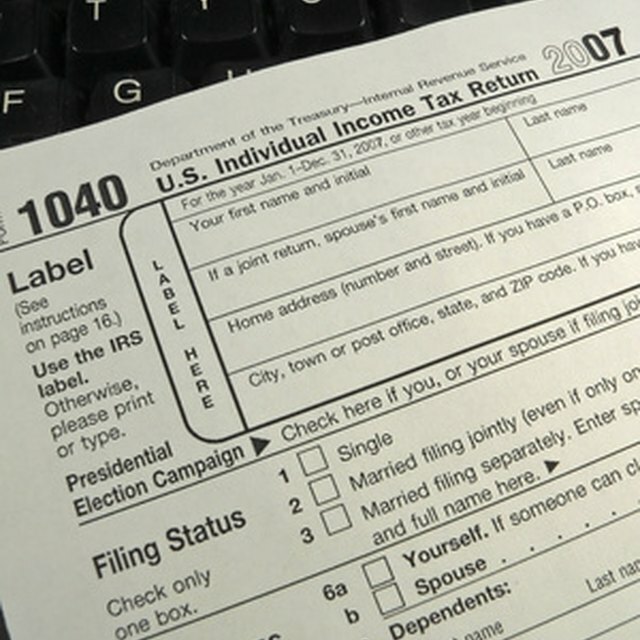 The Pennsylvania Department of Revenue requires all residents to file annual tax returns. The commonwealth requires that all residents with at least $33 of annual Pennsylvania taxable income or losses from Pennsylvania income file annual tax returns. The general rule for Pennsylvania residents is that they must file individual tax returns with the Pennsylvania Department of Revenue and may have to file individual tax returns with the state in which they work. The "Reciprocal Personal Income Tax Agreement Between the State of New Jersey and the Commonwealth of Pennsylvania" allows Pennsylvanians to pay income taxes earned on their wages directly to New Jersey. Pennsylvanians can receive credits for their income tax payments on their income tax returns. By receiving a tax credit, taxpayers can avoid paying double taxes on the same income. Pennsylvanians must submit signed copies of their New Jersey tax returns and complete "PA Schedules G-S," "G-L" or "G-R" to receive tax credits for income taxes paid to New Jersey. New Jersey employers will withhold their income taxes to pay the New Jersey Division of Taxation for their wages. Pennsylvanians who had their Pennsylvania incomes taxes withheld by New Jersey employers but are also considered residents for New Jersey income tax purposes are ineligible for income tax credits, since they would owe income to both states. These taxpayers are subject to income taxes as Pennsylvania residents and nonresidents in New Jersey. Most commonly, these taxpayers are those who are dual residents and live in both states for some part of the tax year. Taxpayers who live in Pennsylvania but own rental properties in New Jersey are also subject to income taxes in both states, since they would owe rental property income taxes to New Jersey. What Is the Meaning of the Internal Revenue Code Section 102A? What are the Louisiana State Tax Filing Requirements? Pennsylvania also has tax reciprocity agreements with Maryland, Virginia, Ohio, West Virginia and Indiana. Pennsylvanians who live only in Pennsylvania for the entire tax year but pay income taxes to other states would qualify for the Pennsylvania resident tax credits.